Do you want to learn how telefundraising can really impact your bottom line? There many different opinions out there about how to best market your charity. It can be difficult to identify the best strategy for you and your NFP. How does telefundraising bring value to my charity and donors? Is it worth the financial investment? In today’s fast paced world of limited face-to-face contact, people are reaching for the human connection. This is why telefundraising can be the right choice for your NFP. Choosing the right telemarketer can be a scalable and cost effective way of connecting with your supporters. Often times, potential supporters need to be reminded about the value of their support and building a solid rapport through human connection can be a great way of achieving this. While some supporters are happy to give over the phone when asked, others would prefer to give directly to the charity. They may receive a phone call from the NFP’s telefundraiser and then choose to hang up and give directly. Either way, the charity has secured a new supporter with the help of their telefundraising partner. This is why it’s so important for your NFP to choose a telefundraising business that pays staff on a fixed hourly rate rather than a commission based system. Doing so encourages relationship building to drive long-term committment, whether through the telefundraiser or charity directly. The telephone is only as good as the caller, which is why going with a telefundraising company that invests in training their staff and a compassionate approach is so important. By understanding your target demographic, your NFP can choose a telefundraiser that aligns with your supporters’ values. For example, research has found that the average NFP supporter is aged 56 years old. Thomas Direct invests in Australian based staff that have an average age of 51 years old because we want to make sure that the relationship is built genuinely and quickly. Dan Pallotta shares his experience of giving $24 to World Vision because of a telefundraiser call for the NFP. As a result, Pallotta has been giving $24 a month to the NFP for the past 30 years. While the telefundraiser may have been paid $20 per hour, they have made almost $9,000 for the charity. This is an example of the long term value a good telefundraising partner can bring to your NFP. The value that telefundraising brings to an organisation should be looked at in relation to the broader picture. While this year a telefundraiser may contribute a certain number of donations to the charity, this value compounds if that donor then contributes more at a later date. 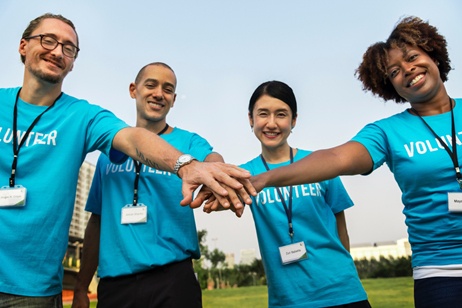 Moreover, the potential donor may not be in the position to donate at that moment in time, but because the telefundraiser has called and begun cultivating that relationship, the potential donor has been placed in the NFP’s database. This enables the NFP to nurture this donor and potentially profit from them in future. It is important to look at the long term return on investment that a quality telefundraising partnership can result in. Behind the telephones and employees, what is the true cost of telefundraising? Telefundraisers can receive a bad reputation in media stories when profit and gross income numbers are thrown around without a proper explanation. It is crucial to understand what your investment is contributing to and where those funds are directed. Running a telefundraising company is just like any other bricks and mortar business: there are operation expenses. These expenses include, but are not limited to, office rental, staff pay, telephone bills, utilities, appropriate advisers on charity regulations and extensive staff training. All of these elements are necessary in making sure the telefundraising company is able to meet and exceed NFP expectations. And as discussed in the long term value versus short term costs section, it’s important to spend money to see decent ROI. The key to successful charity telefundraising is building a solid partnership between telefundraiser and NFP. This quality relationship will then reflect in the way rapport is built with current and potential donors, and translates to good ROI over the long term. Thomas Direct has seen the valuable impact this approach can have, which is why we strive to build and nurture relationships before anything else. Recurring supporters are far more valuable than one-offs.